MaxiCOM MK906 package comes with one MK906 main unit (unique ergonomic design with rubberized outer protection and a rugged internal housing), user manual, lighter fuse, adapter for Gm/Daewoo-12, adapter for Fiat-3, adapter for Benz-38, adapter for Mitsubishi/Hyundai-12+16, adapter for Honda-3, adapter for Vw/Audi-2+2, adapter for Chrysler-16 (for usa only), adapter for PSA-2, adapter for BMW-20, adapter for KIA-20, adapter for Nissan-14, adapter for Benz-14 (for EU only), main cable, ac/dc external power adapter, cigarette lighter etc. * Wifi: 802.11b/g/n Wi-Fi allows to access your favorite web resources, also Automatic system and software updates with real-time push message notifications via Wi-Fi. 1. Auto scan–starts auto scanning for all the available systems on the vehicle. 2. 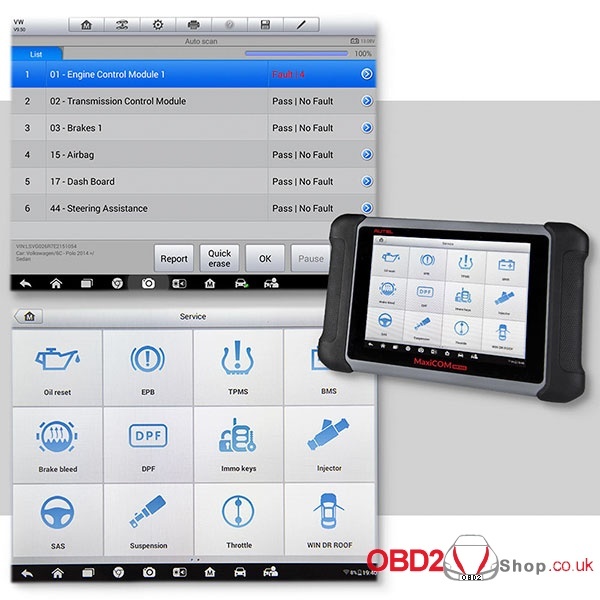 Control unit–displays a selection menu of all available control units of the test vehicle.  ECU Information–provides the retrieved ECU information in detail. An information screen opens upon selection.  Read Codes–displays detailed information of DTC records retrieved from the vehicle control module.  Erase Codes–erases DTC records and other data from the test vehicle’s ECU. 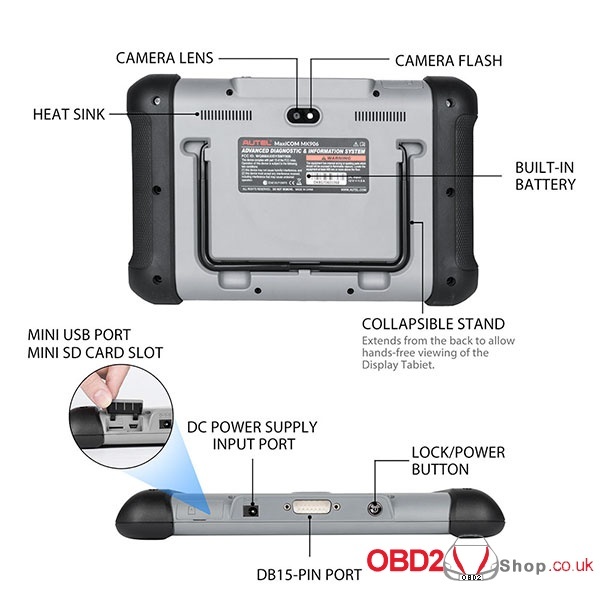  Live Data–retrieves and displays live data and parameters from the vehicle’s ECU.  Active Test–provides specific subsystem and component tests. This selection may appear as Actuators, Actuator Test, or Function Tests, etc., and the tests options vary depending on the manufacturer and model. 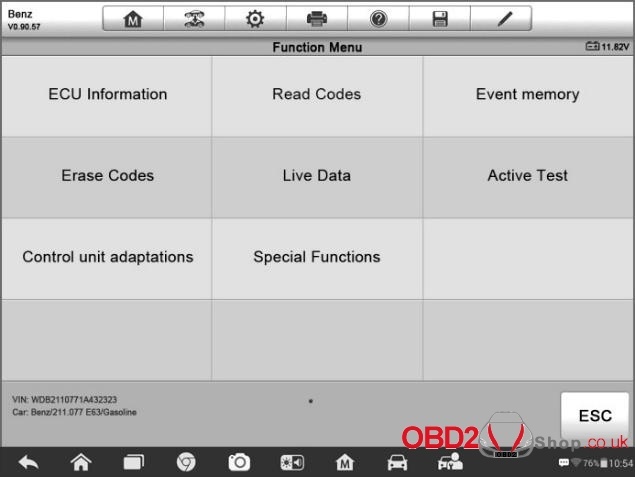 After entering each special function, the screen will display twoapplication choices: Diagnosisand Hot Functions. Diagnosisenables the reading and clearing of codes which are sometimes necessary after completing certain special functions. Hot Functionsconsists of sub functions of the selected special function. 4. How to use Autel MaxiCOM MK906? Browse www.auteltech.com , register and login to check the newest MaxiCOM MK906 car list. Update online, please refer to the user manual page 98. * Note: the default language is English, for other language, you are supposed to pay extra fee.